Including our Easy 3 Step Link Option Formula outlining benefits to You, Your Clients & Your Community. Plus, a Proven Auto-Calculated Done-For-You Comparison Spreadsheet clearly demonstrating, in black & white numbers, how Sellers can net up to 20%, even 30% more for their property than any other strategy. Our students just rave about it! "WOW! Just checked out the new comparison excel spreadsheet out! LOVE it!!! I hope to use it this week...just in time!" Just a shout out to Keith and Shannon on the UPDATED Realtor vs RTO Comparison spreadsheet, IT ROCKS!!! 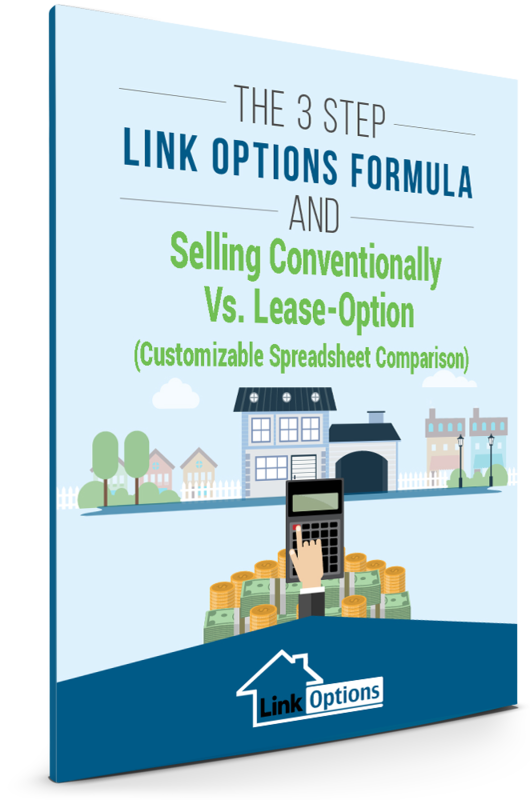 If you are not using the updated comparison spreadsheet you are losing deals for sure! What an awesome tool you have to leverage in your business so if you aren't using it then start! I would like to ask if on one of the next [twice-]monthly calls that updated comparison spreadsheet could be run through from top to bottom. I would love to see how others are using it as well. I have a similar sheet that I created and automated for use with Sellers on Wholesales, Rehabs and other discounted type property acquisitions, that's why I was so psych'd when you sent me your LO Seller NET Sheet. It is so powerful and has helped me lock up properties because I could clearly show sellers what the REAL numbers were so they understood and agreed as we walked through it together. Pretty tough to disagree with my offer when the numbers are all spelled out clearly in front of them (they may not be motivated enough to accept, but they cannot disagree with numbers). Cool! Thanks again K&S! Copyright 2015 © Keith & Shannon French. All Rights Reserved.